RSC is Redefining Seizure Care every day and in every way we possibly can. 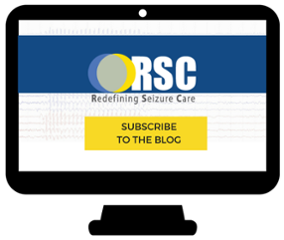 Whether you are diagnosed with epilepsy or you have a family member or friend who suffers from seizure disorders, RSC aims to make life easier. Our goal is to help adults and children around the country with with helpful epilepsy resources, tools and information. Do you wonder what it's like to have a prolonged ambulatory in-home video EEG study? Watch our four short videos that our patient, 'Dan the Man' filmed for us during his 72-hour EEG. Thank you Dan for wanting to impact the lives of others with your helpful information! Did you just have your first seizure? 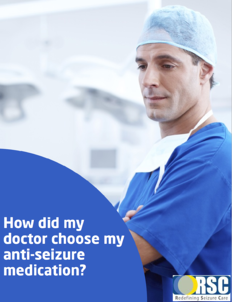 Take this First Seizure Tracking Form to your doctor appointment. I Just Had My First Seizure - What Happens Next? Tracking your daily experiences is essential to managing your epilepsy. Use our Seizure/Syncope Tracking Calendar and the simple-to-follow legend for easy documentation. Post and share this First Aid for Seizures Chart and let others know what symptoms to look for, how to assist someone having a seizure and when to call 911. Keep track of your spells with our Fainting Spell Tracking Sheet and simple-to-follow legend for easy documentation. Have you subscribed to the RSC blog yet?